Today, when technological developments are providing easy access to the internet everywhere, and every time, some people who are connecting to the web with their mobile devices are increasing day by day. When assessed from this point of view, the mobile advertisement has also begun providing companies with great opportunities. However, today the mobile platforms are still relatively unexplored territories regarding their effectiveness, and they do not get a significant fraction of budget from advertisers and marketers. There are, though, surveys that indicate budget allocated to the mobile advertising will rise rapidly in a short while. According to results from a study that was conducted in the USA (which tends to more or less reflect the global tendencies as well), it appears the companies are currently spending less than 1 percent of their total advertising budget on mobile ads. Findings of the survey also include that this percentage will rise to around 10 percent in next four years. According to these results, we can say in comfort that there will soon be massive changes in marketing strategies in the near future. 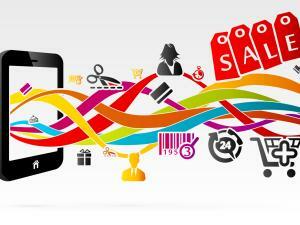 Again according to the same survey, today 18 percent of bought clicks arrive from mobile devices. If we consider that this percentage was five only a year ago, changing behavior patterns of users can be seen quite clearly. These data can be considered the strongest indications of increasing power of the mobile and increasing effectiveness of mobile advertisement by each passing year. Smart marketing people and companies who analyze these results have already begun allocating a larger portion of their marketing budget to the mobile world. What advantages does the increasing influence of mobile ads, which will fundamentally change marketing strategies and advertising budgets, provide to the advertisers? 1- Ease of measuring: Mobile ads can provide data which has results that are much more measurable compared to other venues. Seen under this light, advertising campaigns with easily measured results may be highly beneficial for you when determining your strategies and target audiences. It also becomes quite easier to quickly revise the campaigns that could not yield the results you desired. 2- Low cost of investment: Mobile ads can also move ahead of other advertising venues with ROI advantage it presents. Benefits it present about the identification of the correct target audience, and ability to show ads to this audience in the right place and the right time, may ensure getting the best feedback from the mobile ads. 3- Suitability to creative works: Many advantages provide by mobile devices to their users may also be put to good use in mobile ads. This way, more original and compelling ads can be prepared compared to traditional advertising and promotion channels. Interesting videos, apps, and games can be some examples. In our day where the mobile world is developing rapidly, all surveys prove that companies and marketing firms which allocate their budget to mobile ads would get much more efficient results in the near future. MobiRoller gives you all kinds of support you require for being able to create your mobile app easily. Create your app right away, and with mobile advertisement reach your targeted audience easily anywhere and anytime in the mobile world with its ever increasing influence.